Create pathways, form organized lines, and make gorgeous entrances with our premium crowd control stanchions! Choose from our easy Retractable Belt Barrier Stanchions (available in either a Black Powder Coated or Polished Chrome finish) or ourRope Lobby Stanchions (with an eye-catching Polished Chrome finish). RETRACTABLE BELT STANCHIONS - ONLY $49.99 EACH! 8 foot long retractable belts in Black or Red, 40 inch assembled height, and a sturdy 21 pound (Chrome finish) / 22 pound (Black Powder Coated finish) assembled weight. LOBBY ROPE STANCHIONS - ONLY $44.99 EACH! 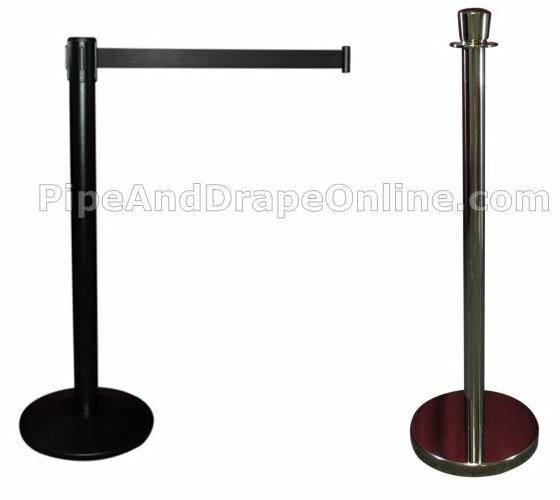 Give your guests the VIP treatment with these 40 inch tall assembled height metal lobby stanchions. 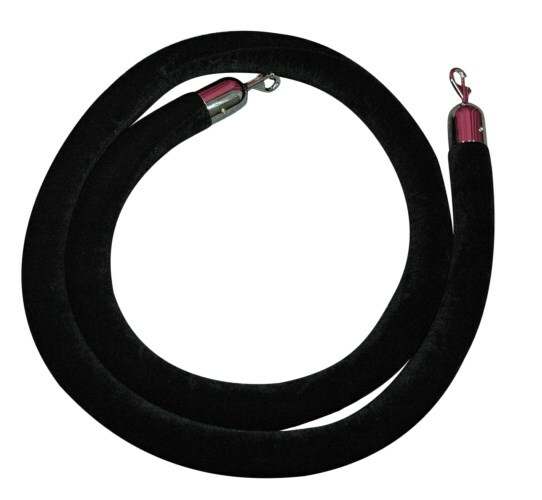 Complete the look with our 8 foot long Velvet Stanchion Ropes, just $33.99 each!